I so appreciated your selection of favorite reads of the year. I definitely noticed the uptick in your nonfiction reads this year, and because I enjoy nonfiction too, I've enjoyed your choices. I agree that I'm not sad to say goodbye to 2017. May I say that I consider you a "brave" reader? 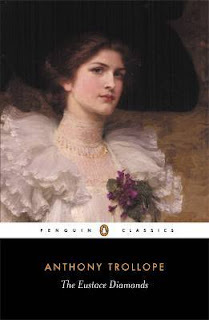 What I mean by that is that you tackle books that broaden one's perspective and view of the world. You are curious about subjects well beyond the realm of "comfort." All of this makes your blog a wonder to read, and I want you to know how much I appreciate reading it. Happy New Year to come, hopefully with many lovely books! 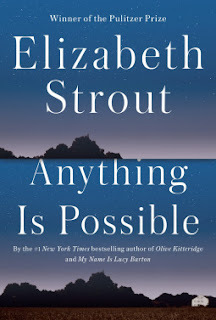 Bellezza - I've read and loved all of Strout's books. Hope you get a chance to read Anything is Possible... it's excellent. Doubt I'll ever tire of Trollope, so am glad he was so prolific. Happy New Year! Love you list, JoAnn. It makes me want to go back and read Behold the Dreamers and The Nix. I know the length scared me away on The Nix, but I don't know why I never got to Behold. I love tha Goodreads picked a book for you and it worked! Susie - Behold the Dreamers was wonderful. The Nix probably could have been 100 pages shorter, but the ending was well worth the effort it took to get there. So glad I took goodread's advice and tried The People in the Photo! I've only read one of those books so I'm taking notes, especially of the nonfiction titles. I read a few of these in '17 and plan on reading Dear Fahrenheit 451 in '18. Vicki - Try Dear Fahrenheit 451 in audio if you can get hold of it... some good snarky fun there! 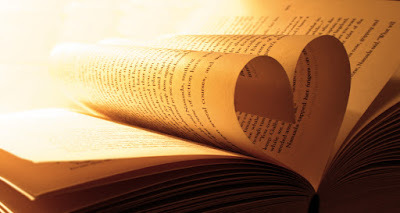 Thanks for sharing your list and writings about your favorites. I'm going to book-mark this post for future reference. Happy New Year! Pat - Hope you will enjoy some of these, too. It was a good reading year despite the slumps. Happy New Year! It looks like you read a nice variety of stuff. 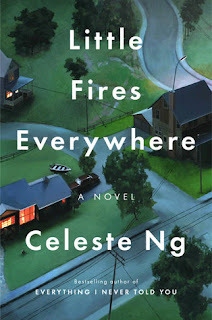 Little Fires Everywhere is on my TBR list. I kind of want to read The Nix, but it’s so big! Nomadland sounds interesting, too. AJ - Little Fires Everywhere seems to be on all the lists this year, and I think it deserves to be there. The Nix should have been shorter, but the writing was wonderful and carried me through to the ending. I've recommended Nomadland to just about everyone! 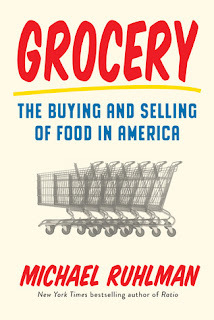 Grocery is one that's on my TBR. I used to work for a consulting firm that did work with grocery stores, so I'm still fascinated by them. Angela - I worked in a grocery store when I was in high school (my first job), so that's probably where my fascination began. 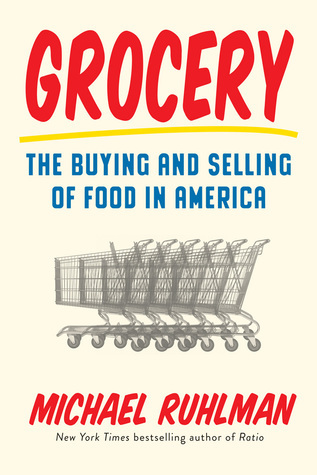 Heinen's, based in Cleveland, is the focus of this book. This is an impressive list. 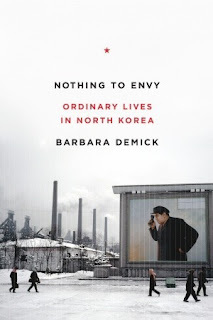 I have been looking through a list of everything that I read for the year and The Eustace Diamonds may be may favorite. Happy New Year's to you and your family JoAnn! Brian - Like I said on twitter earlier, it's hard to top The Eustace Diamonds :) Happy New Year! I love reading blogs about what everyone read! I am in awe of your percentages! Thanks, Patty. The nonfiction percentage surprised me this year! Little Fires has been on every BEST list I've seen this morning and it will be on mine tomorrow as well I chose Nomadland for my other book club so I'm glad to see it listed here. Ti - Little Fires Everywhere has been on just about every list I've seen, too. 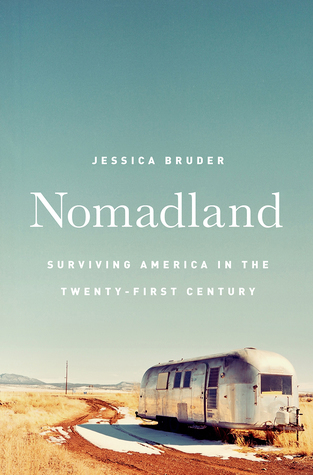 I hope your book club enjoys Nomadland, and also hope mine will choose it for our nonfiction selection. I really liked ANthing is Possible and Little Fires...; Nomadland in on my TBR. Diane - Nomadland is so interesting, but a little scary, too. I have a friend who bought a tiny camper, drove it to Arizona, and settled in for the winter to work as a camp host. Judging from facebook posts, she seems to like it... don't think I'd last! That's a great list. 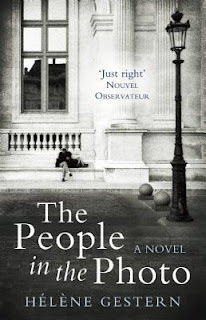 I read and enjoyed The People in the Photo last year - and you've reminded me that I really need to finish the Palliser series in 2018. Helen - The People in the Photo was such a wonderful surprise! I'm not usually that spontaneous, especially if the book is unfamiliar, but was able to walk into my library and find it on the shelf just hours after the goodreads recommendation. I'll be starting Phineas Redux sometime in January and plan to read the last two Palliser novels later in 2018. A handful of us tweet using the hashtag #PalliserParty - you're more than welcome to join in! 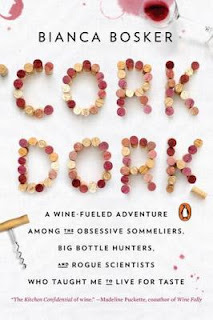 The only one I've read is the Strout, but I love how mixed and eclectic your list it. And I am excited to read Dear Farenheit 451 before too long. Simon - My reading choices were a little more varied this year... mostly in an effort to break out of reading slumps. Hope you like Dear Fahrenheit 451. Spence's snarky humor was just what I needed at the time. Dear Fahrenheit 451 in on my list for 2018 and I'm really looking forward to it. 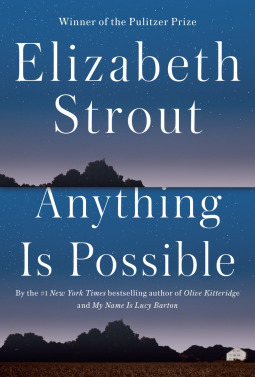 I have the Elizabeth Strout on my TBR as well. I enjoyed Lucy Barton quite a bit and I like the idea of getting to know some of the other characters better. I'd like to read more nonfiction next year. They're typically my favorite books of the year but I've been reading less and less lately for some reason. Happy New Year JoAnn! Katherine - If you can get hold of the audio version of Dear Fahrenheit 451, I highly recommend it. I though Anything is Possible was even better than My Name is Lucy Barton. Happy New Year! What a great list! I had to return Behold the Dreamers unread to the library today, but it's going straight back on my library list. I feel like I missed your review of Grocery, and that's also going on my list. Lisa - I hope you get a chance to try Behold the Dreamers...such an authentic voice. And Grocery, too. That was so interesting! 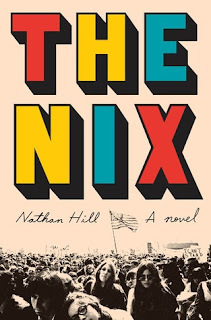 The Nix was a good book, I thought. I suspect that I read Flowers for Algernon in high school too, but that's my only other overlap with your list. Have a good year in 2018. We could all use a better one than 2017. Mae - I got a chance to meet Nathan Hill at the SWFlorida Reading Festival last year... such an engaging speaker. Fingers crossed for a better 2018 for all of us. Happy New Year! Little Fires Everywhere looks quite good, from the reviews I've seen. And Nomadland has me curious as well. Greg- I think Little Fires Everywhere has been on almost every list I've seen this year! I hope your 2018 will be much better. I am glad to see 2017 go too, although it turned out to be a good reading year for me. Mostly an escapist one, really, with everything going on in the world. Books were the one place I could go to calm my mind and relax some. You've got a great list of favorites! I really need to read Little Fires Everywhere. 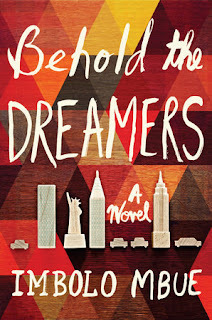 Behold the Dreamers is another one on my TBR pile to read. 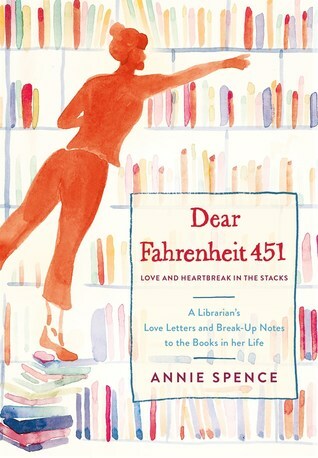 I had hoped to get to Dear Fahrenheit 451 this year, but wasn't able to. Hopefully this coming year. I hope you have a Happy New Year, JoAnn! Wendy - You'd think with all that's been going on in the world, fiction would be the perfect escape but that wasn't the case for several months this year. Thankfully nonfiction somehow worked during those periods. Hope you have a happy 2018. What a great list, JoAnn! I hope that you have had a wonderful holiday season; on to a new year! Tara - Thanks, it's been a wonderful but tiring couple of weeks. I'm ready to tackle 2018! Jessica - It's been a very good year for nonfiction... so many interesting subjects to explore! Little Fires is still on the stacks! I am so glad that non-fiction was just what you needed to kick you out of a slump. My NF was only one book! Happy New Year. Nise' - You're in for a treat with Little Fires Everywhere. I can't believe how many 'best of' lists included it! Oh I love reading these end of year posts. I get so many great ideas and reminders about books I want to read. Behold the Dreamers is one I really wanted to read so I'm glad it made your list! I hope this year I also end up reading more nonfiction. Iliana - I get so many suggestions from these year-end posts, too. It's definitely my favorite time of the blogging year. I still think about Behold the Dreamers and it's been almost a year since I read it. Hope you love it, too! I've hardly read any of these but if they made your list, they're going on my wish list! Lisa - Same thing is happening to me as I read all the "Best of" lists... my tbr is exploding! 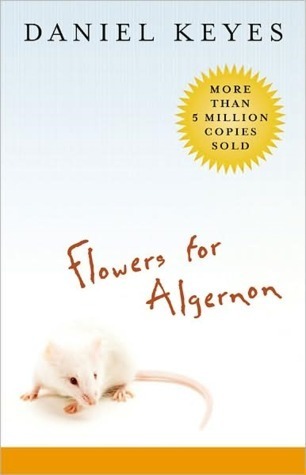 I read Flowers for Algernon in high school too, but I wondered on rereading the novel a few years ago, if I hadn't originally read a shortened version. Have you seen the movie version Charley (1968) with Cliff Robertson as Charly Gordon? I too liked Little Fires and Behold the Dreamers. Engaging reads! I still want to get to the Nix book despite the length. Sounds like a good author. I bought a copy so plan to get to it in 2018. I had a few favorites for you to check out: namely Home Fire and the novel Brother. enjoy. Susan - I made note of Brother after reading your post a couple of weeks ago, but unfortunately must wait a few more months to get it here. Will look into Home Fire, too... always appreciate your recommendations! I'm slowly reading my way through everyone's Best of 2017 lists and my TBR list is growing extremely long! I already have The Nix on my phone (Audible) to listen to when I'm in the mood for a chunkster. I think I added it after you first mentioned the book. I just finished Dear Fahrenheit 451 on audio a day or two ago and LOVED it! I've order the print copy for reference and re-reading. And, adding more to my TBR list! I've never read The Virgin Suicides, but after all her gushing, I'm going to have to give it a try. Little Fires is on my list for 2018, but I think I'll see if I can get it from the library. I wasn't a big fan of the previous book. Hope you're enjoying your warmer weather. It's overcast and mild here, but certainly a lot warmer than a lot of the country. I'm not complaining one bit. Les - I'm so glad you loved the audio of Dear Fahrenheit 451, too! It was definitely the right book at the right time for me... and I've also added The Virgin Suicides to my list. The audio production of The Nix is also excellent. That one was a read/listen combo for me. It's finally warming up to normal January temps here. Such a relief to be out of the snow and deep freeze of central NY! I really want to read the Stroud book! David - Hope you get a chance to read it in 2018... it's excellent!